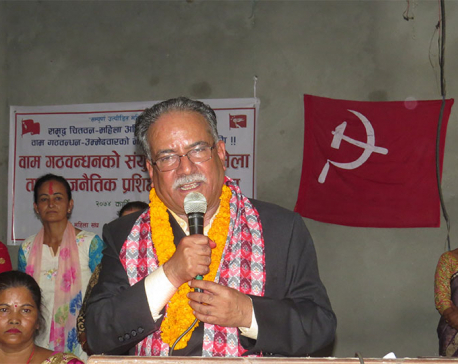 On September 5, Pushpa Kamal Dahal “Prachanda” announced that within a few months he would rid Kathmandu of its dust and dirt. In addition, he would, he added, bring new determination to improve roads, health, education, employment and economic activities across the country within a year. This got all Nepalis wondering. Why had Prachanda waited for six months since taking over the government to announce this? When pressed further for details, he offered none. This got all Nepalis wondering even more. Perhaps Prachanda and his government were bluffing. A majority government that we had elected with so much promise and potential seemed adrift without a purpose on a vast ocean, merely floating on the status quo. As an honorable citizen, I had to do my bit to push back against the rising tide of disappointment and despair. Surely, Prachanda and his government had a plan. I set out to find Prachanda’s plan. Combining wizardry and witchcraft, which is exactly like statecraft except that is exercised by a person with no political authority; I uncovered the economic portion of Prachanda’s plan. 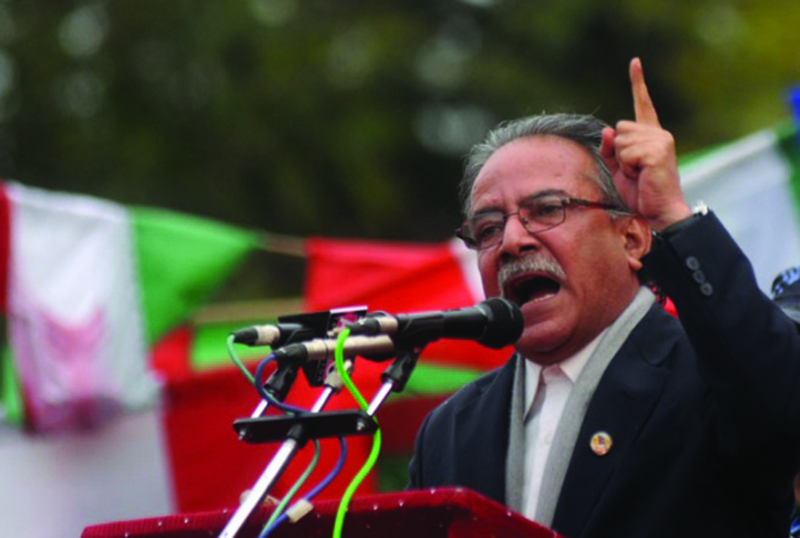 Here are the summary highlights of Prachanda’s economic plan. 1. Inheritance tax. Impose a 70 percent tax on the market value of wealth when it is transferred from one generation to another as inheritance. Inheritance transfers of up to Nepali Rupees (NPR) 30 millions attract no inheritance taxes. Wealth that is earned during a person’s lifetime (i.e is not inherited from previous generations) and can be substantiated by income tax payments can be passed on to beneficiaries without an inheritance tax. In this case, the beneficiary’s inheritance will be subject to prevailing income tax rates. All tangible and non-tangible wealth will be assessed for taxes at fair market value. 2. Mandatory non-military national service. All Nepalis, male and female, upon completion of grade 12 or reaching 18 years if they are not in school must mandatorily serve one year of non-military national service. Non-military national service means working as community organizer for a municipality or local government owned service provider (such as schools and hospitals). National service will have to be performed in an area different to their place of residency and is intended to comingle people from different parts of the country. This national service will be managed by Nepal Army. Participants will be housed in army hostels and must subscribe to a code of conduct established by the army during the entire duration of their national service. 3. Broadening business-to-business value chain. All business with turnover greater than NPR 100 millions must demonstrate that rural and women owned enterprises directly account for at least 40 percent of the firm’s input costs (or are part of firm’s value chain). This means that firms will need to source at least 40 percent of their inputs from rural and women owned enterprises. Firms can avoid this requirement by paying an additional 25 percent value added tax on their total input costs. 4. Rural, small business and women owned enterprise set aside. All government contracts must include at least 30 percent set aside for rural, small business and women owned enterprises. This means that all contractors or suppliers to publicly funded contracts must ensure that at least 30 percent of delivery is executed through rural, small business or women owned enterprises. 5. Social audits. All businesses with turnover of at least NPR 100 millions must mandatorily conduct and report independent social audits. Such audits are intended to measure social performance. A standardized social audit framework will be developed and enforced by the relevant government agency, such as the registrar of companies. 6. Civilian-led audits of government programs. All publicly funded programs must include a civilian audit set aside fund. Civilians will have a right to demand financial or social audit of any publicly funded government program by demonstrating that there was reasonable cause to suspect corruption, malpractice or failure to achieve its goals. An independent adjudicator within the appropriate government agency, such as the Auditor General, oversees the process. If the agency finds adequate cause in the civilian application for an audit, it can commission an independent civilian-led (social, financial or technical) audit funded through the civilian set-aside fund. 7. Social audits of external borrowings and foreign grants. 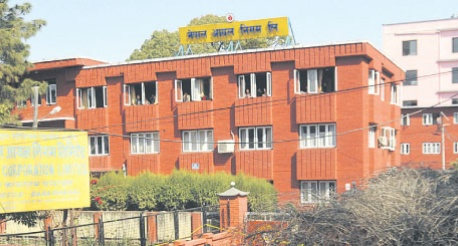 All external borrowings by the Government, along with in-kind and cash based foreign grants to Nepal must undergo an independent social audit as part of the due-diligence for approval. Independent social audit must also be part of the annual reporting process like the requirement for private enterprises. 8. Mandatory social audit duty. All Nepali citizens that have completed grade 12 and crossed 30 years of age must mandatorily contribute at least three weeks of social audit duty time in a year when selected to do so. Such duty will be remunerated at a government specified compensation rate. 9. Right to reasonable failure and bankruptcy protection. Owners of small and medium enterprises (with turnover of less than NPR 100 million) will be entitled to bankruptcy protection that limits personal liability to 20 percent of their personal assets in the case of debt default where there is no fraud. All financial institutions must ensure that at least 20 percent of their lending portfolio is to such small and medium enterprises. In addition, 30 percent of the lending portfolio of financial institutions must include non-recourse project lending (where the project is the only collateral) to enterprises with turnover between NPR 100 and one billion. 10. Whistle blower protection. All institutions (public and private) must adopt whistle blower protection practices. Government will formulate a standard whistle blower act. Whistle blower protection is a set of rules that govern the safety of individuals who choose to report corruption. Private sector companies that report corruption and support prosecution of such cases can seek income tax waivers and immunity from malicious investigations. 11. Outbound investment. Much like government facilitates Nepali labor employment abroad, it will create a similar structure for international investments. Using an incubator model, the government will create umbrella entities through which Nepali enterprises can create businesses in overseas markets. Through the umbrella entity, government will provide a controlled environment for capital outflow and encourage domestic firms to establish stronger international linkages. Of course, none of this is Prachanda’s plan. On closer examination, it doesn’t appear like he, Prime Minister Oli, Nepal Communist Party or, for that matter, any of the other political parties have much of an economic vision. Speaking at the inauguration of the auto show in Kathmandu a week ago, the finance minister best exemplified this absence of vision when he said people should ride cars on their income and not on borrowed money. When you take away aspirations, as the finance minister did with his suggestion on avoiding automobiles purchases, there is nothing left. Our political and social transformation was as much about realizing new aspirations as it was about correcting old injustices. As we experience the degeneration of hope, we must accept that political and social transformations alone will not automatically lead to poverty reduction and economic growth. Without radical changes to our economic system that provides opportunities for all, our aspirations will turn to frustration, despair and then anger. A political and social revolution is incomplete and meaningless without an economic revolution.